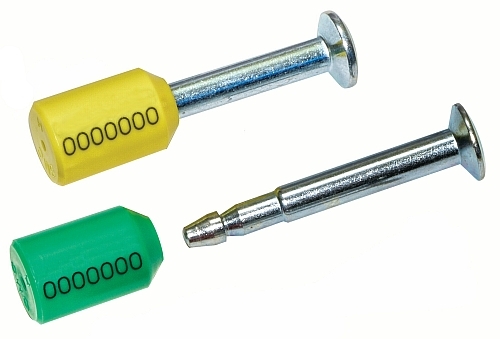 All metal bolt with a plastic coated metal cylinder includes a unique laser engraved 7 digit consecutive number. Add your choice of up to 6 hot-stamped characters to pre-numbered seals. C-TPAT & PIP Compliant to the latest ISO standard! Seals are rated to High Security level under the ISO/PAS 17712:2013(E) Standard. All stock bolt seals now include Laser Engraved numbers for increased security. Number series will be in a high contrast black only. Bolt seals are packaged 10 per bag, 50 per inner box, up to 200 per case.